Gov. 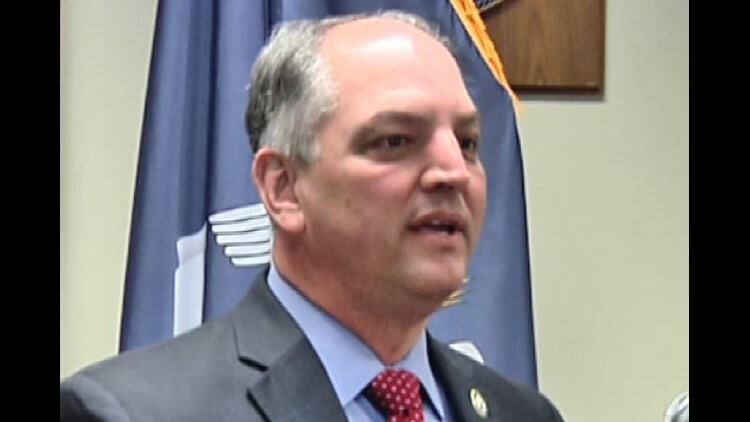 John Bel Edwards on Monday said definitively that he will not support a plan by Mayor LaToya Cantrell to move some of the city’s hotel tax to the Sewerage & Water Board’s drainage system, which agency leaders recently announced is broke. Cantrell’s office said she met with Edwards on Monday, but her spokesman would not say anything else about that meeting. Last week, Cantrell issued a statement in which she expressed some hope for her idea, which state lawmakers and Edwards quickly threw cold water on. “Knowing the governor, he will not turn his back on New Orleans,” that statement read in part. While it’s unclear what the two said during their meeting Monday, Edwards said in no uncertain terms that he will not get behind Cantrell’s plan to shift hotel tax dollars to the S&WB. Hotel tax dollars are divided among the Ernest N. Morial Convention Center, Mercedes-Benz Superdome, New Orleans and Co. and the New Orleans Tourism Marketing Corp.
A Bureau of Governmental Research study found that those agencies got nearly 75 percent of the $165.8 million that hotel taxes brought in during 2015, The New Orleans Advocate reported. The city took in about 11 percent. Edwards told WWL-TV that those tax dollars are being used to pay bond obligations for the Ernest N. Morial Convention Center and Mercedes-Benz Superdome. They are also needed, he said, for expansion and renovation to the facilities. Asked if he could give examples of any possible partnerships, Edwards was vague.